Every five years, international organizations under the guidance of ILCOR are required to take action in regards to specific guideline changes made, when it comes to life support procedures, first aid and other important aspects within the medical emergency field. These guidelines differ from country to country and continent to continent since different organisations are responsible for different regions. In the upcoming months organisations around the globe will restructure their training material in accordance to these new guidelines. 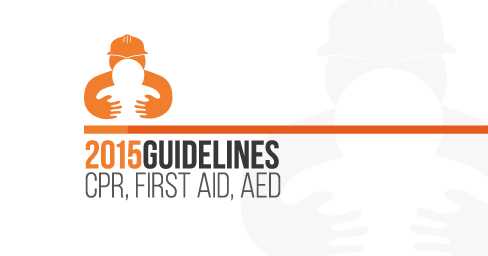 The latest guidelines where published on October 15th 2015. In this blog post we would like to list the summary of highlights from the ‘Basic Life Support’ guidelines for adults and children that concern trained providers. CPR remains unchanged and trained providers should perform chest compressions for all victims in cardiac arrest. Both compressions and ventilations are essential with the combination of 30 compressions and 2 ventilations. The depth and speed of chest compressions remain unchanged. Compressions should not be interrupted for more than 10 seconds to provide ventilations. Defibrillation within 3-5 min of collapse can produce survival rates as high as 50-70 %. In public places with high density of citizens, AEDs should be accessible to the public. The adult sequence can be followed in child and infant CPR but the 5 initial ventilations are still highly recommended for all trained providers. A guideline change made in order to coincide with adult practice, is the duration of delivering a breath which should be 1 second in length. For chest compressions, the lower sternum should be depressed by at least one third the anterior-posterior diameter of the chest (4 cm for the infant and 5 cm for the child). During these guideline update, some changes which affect core topics of first aid are restructured. Apply direct pressure, with or without a dressing, to control external bleeding where possible. There continues to be no evidence to support the use of proximal pressure points or elevation of an injury to control any major external bleeding. The use of such techniques are not indicated. However it may be beneficial to apply localised therapy (ice packs), with or without pressure, for minor or closed extremity bleeding (bruise). Use a haemostatic dressing when direct pressure cannot control severe external bleeding or the wound is in a position where direct pressure is not possible. Training is required to ensure the safe and effective application of these dressings. Use a tourniquet when direct wound pressure cannot control severe external bleeding in a limb. Training is required to ensure the safe and effective application of a tourniquet. Training for this will become available in our advanced courses. Other guideline changes implemented that affect first aid procedures are currently been added within our training material and will be made available shortly. Changes to the advanced life support procedure will become available in the upcoming months. We encourage individuals in the health care sector to attend the Advanced Basic Life Support training course developed by RSTO! 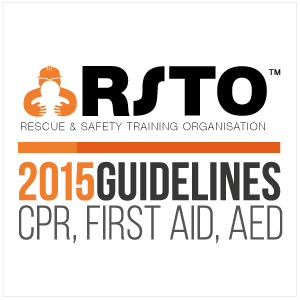 From the RSTO Team on the 23th of October 2015!